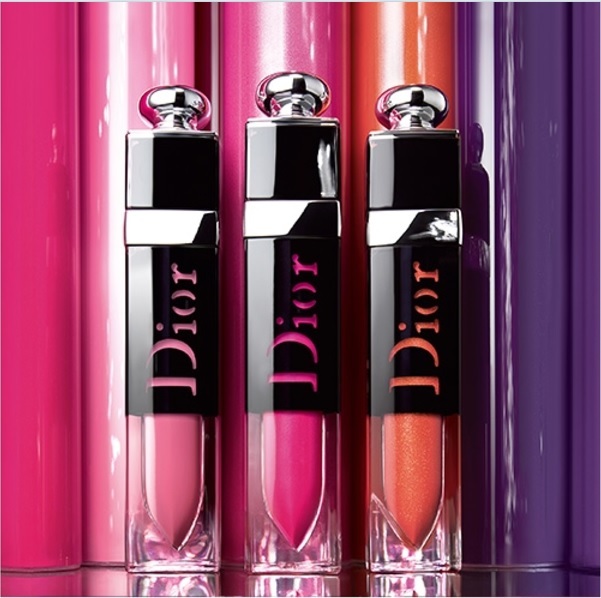 Get addicted to the Dior lip ink. This provides long-wear color and volume-boosting effects. Shop for this beauty product at Saks Fifth Avenue. The first plumping lacquered lip ink by Dior that releases intense, long-wear color, a unique Dior shine, and an incredibly comfortable texture. Dior pushes the boundaries of lacquer and skincare even further with the creation of Dior Addict Lacquer Plump: the first plumping lacquered lip ink by Dior. A true breakthrough from the Dior laboratories, this lipstick is the perfect makeup and skincare hybrid. Like an ink, it tints lips with long-wear color for 8 hours. Like a radiant plumper, it delivers a volume-boosting and shaping effect, along with unprecedented hydration from Dior. 24 hours after application, lips enjoy a 78% increase in moisture levels. Instrumental test, 20 subjects. Instrumental test, 11 subjects. Its secretà An oil-in-water emulsion infused with pigments and enriched with a natural-origin hibiscus extract for a plumping effect, a special ingredient for refreshment, and hyaluronic acid for moisturization. With sixteen shades developed by Peter Philips, there is something to suit any festive occasion, from timeless to electric to serious bling. Resistance is futile with 456 Dior Pretty, a rosewood from the elegant and sophisticated Classics. In the collection of Neon shades, succumb to 676 Dior Fever, a bold fuchsia with a hint of blue that makes it easy to wear. The Glitter range is all about shine with a finish that captures the look without the feel of glitter: 538 Dior Glitz coral seduces with an alluring lurex finish. For bolder color and greater precision, start by outlining lipsand filling them in with Dior Contour as a base. Then apply Dior Addict Lacquer Plump directly on the lips using the precise applicator. 1. Prime lips by massaging gently with Lip Sugar Scrub, blotting off any excess. 2. For greater intensity and precision, outline lips and fill them in with Dior Contour. 3. Apply two coats of Dior Addict Lacquer Plump, moving from the center up to the Cupid's bow and then blending out to the corners. Dior Addict Lacquer Plump kicks into action upon contact with the lipsto reveal its bold color and radiant lacquer finish. Mere seconds after applying, color and shine emerge in a fine, airy film. Made in France. Learn more about Dior brand fashion and Dior beauty products.